How would you defend against a deathstar? Hey guys Son of Adam here again with a little article about defeating deathstars with tar pits. Since the new edition, deathstars have grown in popularity, and with them comes the need to shut them down. Generally people go about this by trying to find the best deathstar; one deathstart to rule them all. They will play test to see, deathstar vs. deathstar, which will win out. Others try to build a list around putting out enough shots to take down anything deathstar related. These are both valid methods, but I want to offer up a different idea for your considerations; tying them up. Deathstars are made to crash into enemy lines and destroy all who oppose, but there are some units in the game that are made to do exactly the opposite. These are called tar pit units. Tar pit units are generally cheap, large, have an invulnerable save, deny attacks in combat, have fearless, feel-no-pain, or some combination there of. Some examples are plague demons, massed tyranid guants, or swarms. The idea here is that you can tie up a large deathstar unit long enough to make them tactically irrelevant, or to lessen their impact on the game. 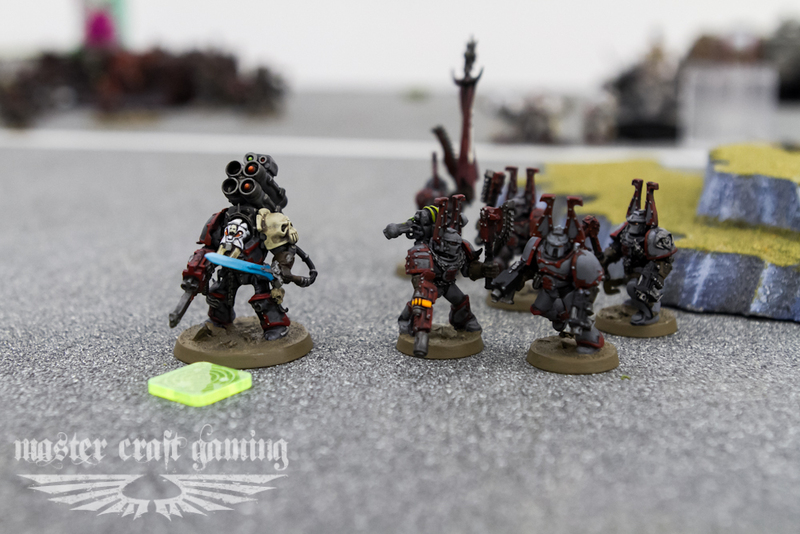 And, with the cost imbalance for the rest of the game, you should be able to make enough of a difference with the rest of your army to gain the advantage, or apply this tactic again to further tie up the squad. Consider that, in a perfect world, a Draigowing deathstar assaults 30 guants backed up by feel-no-pain. The guant squad only costs 120 points and the deathstar costs upwards of 1000 points (assuming normal deathstar overload with Draigo, apoth, and 4 psycannons). This deathstar will be getting 3 attacks on the charge, hitting on 3’s, wounding on 3’s, and the guants will get a 5+ feel-no-pain on all non-hammer attacks. That’s 36 attacks, with say 24 hits, 16 wounds, and 11 dead. So, with 11 dead at 5pts a piece, it cost you 55pts to hold that deathstar still for the top of a turn. Now for the bottom of that turn. You know the drill; it’s only 25 attacks this time, with say 17 hits, 11 wounds, and 7/8 dead. So at the end of the full turn where they were charged it cost you 90/95 pts to make the Draigowing deathstar irrelevant to the game. Take that number over the course of 5 turns and make it 395 points (95 + 75 each turn thereafter) to keep 1000 points at bay. In a 2000 point game, it has now become 1000 points vs. 1605 points. The tyranid player will gain a significant advantage. (Please be aware that this is a perfect world scenario. However, when working with perfect world scenarios, we can look for what to try for in our actual games). These ideas work with several different units against several different deathstars, but consider the fundamental idea, take small cheaper units to tie up larger, more expensive units in order to give yourself the upper hand in achieving the victory conditions. Now go out and see if you can work this idea into your list in order to deal with the deathstars of the 40k world. You don’t have to change what you are taking now, but it’s a good exercise none-the-less to see if there are more mild aspects of this strategy that can be helpful to you when considering what to bring to the table and while playing the game. Hey guys, Son of Adam here again with another quick tip. By the way, we are working on getting some more videos out this week, but some things have slowed us down a little bit, expect at least two. As we have looked into some of the methods for last turn contesting in articles here, it is worth mentioning that there are ways to try and slow down and better defend against this kind of move when it is being used against you. In this quick tip we are going to point out one of those ways. 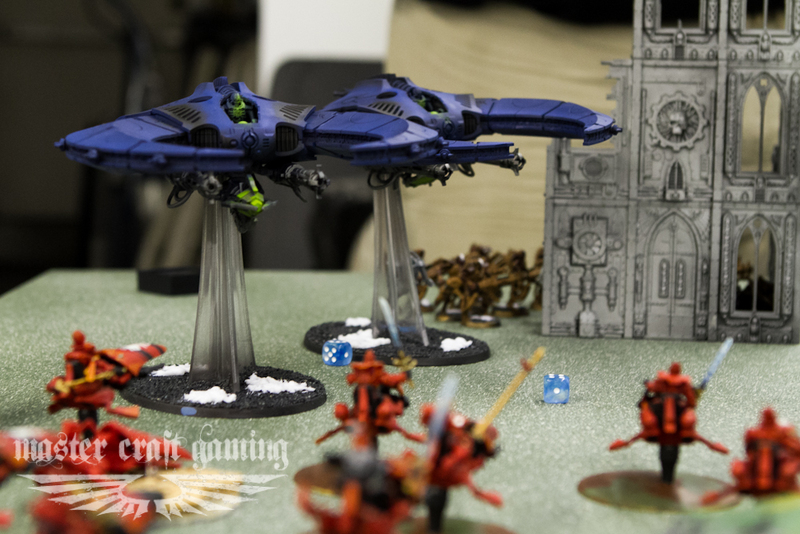 In a tournament this weekend (which will have a video review very soon), I played against an army with a Necron night scythe. 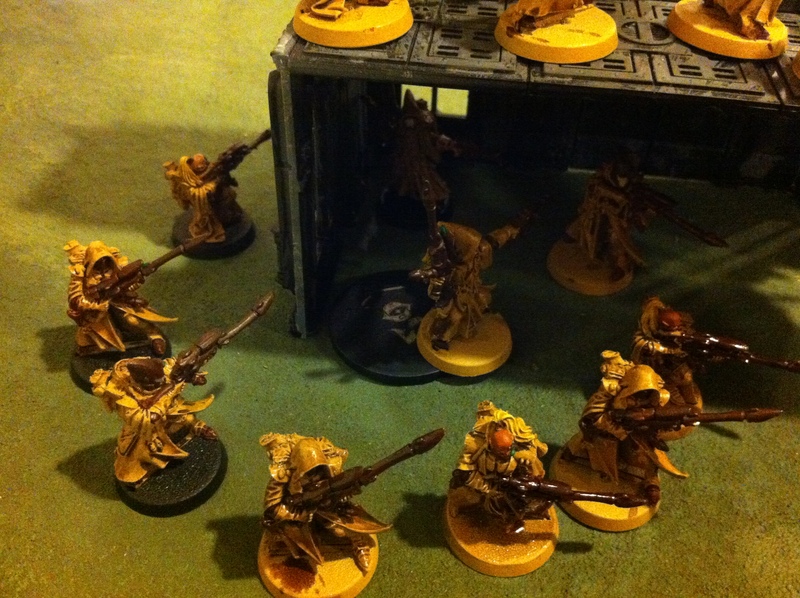 These guys are the kings of the last turn deny/claim move, almost as good as last editions Eldar Falcons. They are able to move very far in one turn and drop guys without chance or danger in a large radius around the base of the flyer. 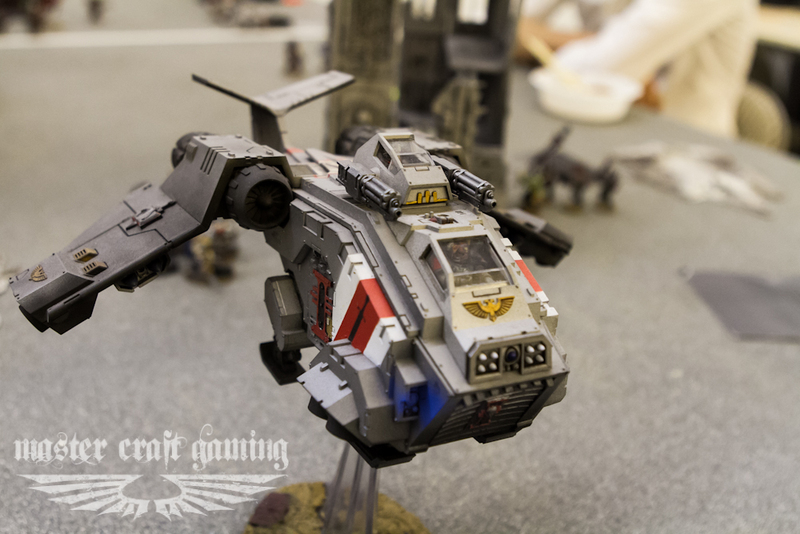 (Note: there are other models with a similar capability in other armies as well). 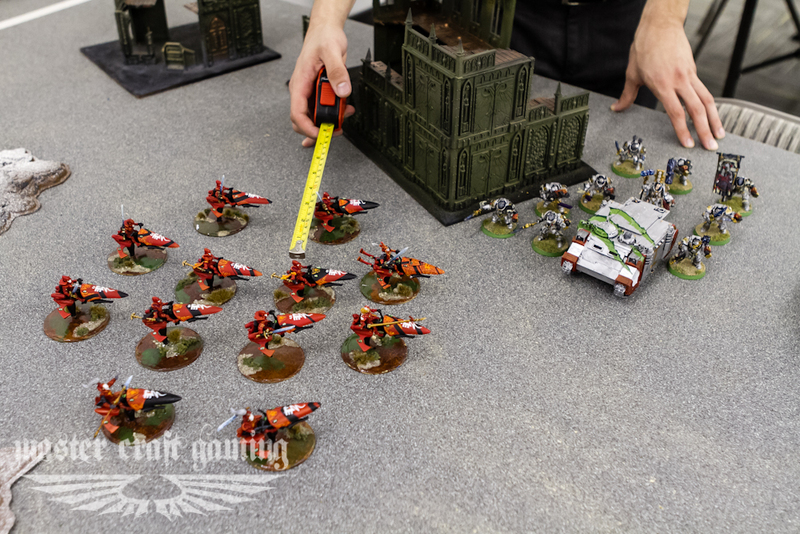 Thus the scenario runs, each side is claiming one objective and then on turn 5 the night scythe (or equivalent) jumps onto the other player’s objective and moves his warriors or immortals in to contest or potentially claim. Then the game ends, and at the very least, the result is 1 objective to none. Aside from shooting down all of the night scythes on the table how can you prevent this kind of tactic? There is one simple method, though not foolproof and not guaranteed, it will in the least buy you a turn. With whatever units you have near that objective move them to surround at least two inches of the objective. 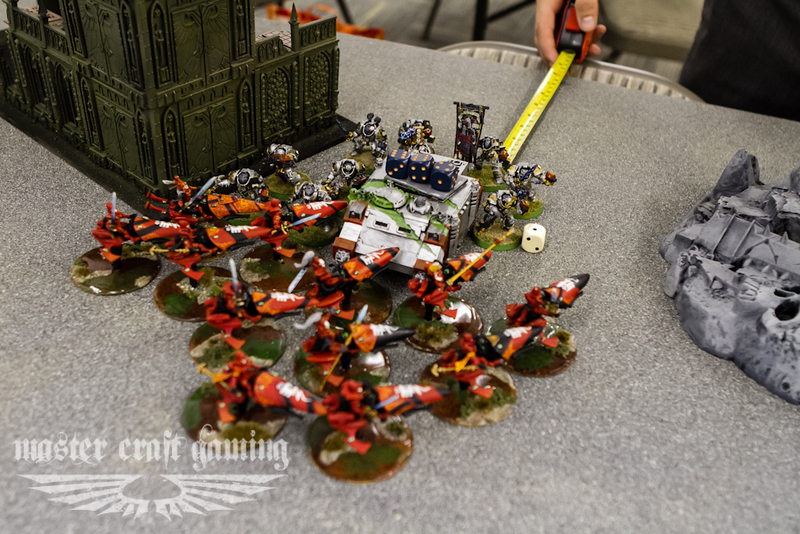 You may have to sacrifice shooting, even with a squad of shooting dedicated models (devastators), but if following the golden rules, this is the more than acceptable. 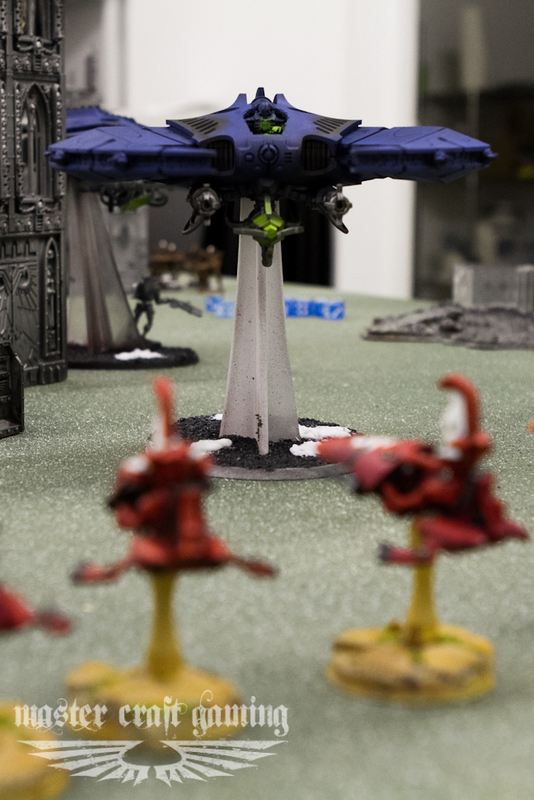 Eldar Rangers make a bubble around the objective. Once your models look like this your opponent will not be able to drop off his troops within three inches of the objective, and is not able to assault you this turn in order to bring them within this three inch bubble. This tactic does not guarantee the win or the objective, but it will slow down the opponent for at least a turn. This will make the last turn dash a bit harder to pull off as it requires the player to; first have this move in mind earlier, second dedicate their resources for at least two turns, and third, provide you the opportunity to return fire. The rangers deny a last turn dash from the scythe. I hope this helps out in one of your future games. Make sure to follow/like/subscribe to our stuff. Thanks again for reading fellas and post up some comments down below. Peace. Sometimes you don’t need focus a lot of resources to hold an objective. Hey all, Son of Adam here with a run-through of how to approach mission number five in the BRB, “The Emperor’s Will.” Eventually there will be an “Approaching” article for each of the missions, but we are going to start with five. Why five and not one? Because this one is the most interesting and the one I have seen messed up the most. First off, let’s look at what makes up mission five. All of the rules for mission five are the standard for all missions; warlord traits, night fighting, reserves, secondary objectives, etc. What distinguishes it is the amount and placement of the objectives. There are only two objectives; one for each player. These objectives are subject to the normal rules, but contrary to 5th, these objectives are place in the owning player’s table half. (Note that they no longer have to be in the owning player’s deployment zone). So, how do we follow the golden rules in order to win the game? The victory conditions are achieved by having more victory points than your opponent. Let’s break this down in a real blunt and simple way. We can guarantee this points preponderance by claiming both primary objectives, claiming one primary and secondary objective while the opponent doesn’t claim a primary, or by claiming more secondary objectives while neither player claims a primary. These are all very obvious, but now that they have been overtly stated we can look at how to achieve each of them. The first, and most difficult to achieve, is claiming both primary objectives. This mission in 5th edition (capture and control) was not dubbed “mission tie game” for nothing. It usually goes one of three ways. First, both players do a full out attack and leave one scoring unit behind. Second, both players castle and wait, and third, some combination thereof. And then when the dust settles, if the game isn’t already over, each player tries to dash towards whatever objective isn’t claimed. Generally this is just a very hard way to win mission five. Usually it is only possible with a much stronger list, poor play from your opponent, or really lucky dice. The next way is to claim a primary objective and deny your opponent from claiming one, while remembering to score one of the secondary objectives. This method is much easier to win with and is often the overlooked play. You pick which primary objective is more of a guarantee to claim and work to claim that one by the end of the game. Then you stay alive. You can try to find ways to remove your opponent from the other primary objective by baiting him or confusing him with deployment, but essentially you want to be alive and in a position to contest their primary objective for the end of the game. If you can manage not to get yourself killed, you can claim your own objective while defending it and contesting the opponent at the same time. It takes a bit of finesse and there are many different ways to do it, but the focus is on claiming on primary while contesting the other. And lastly, you can tie for the win. If you think that it will too hard to claim both or contest one primary objective and will end up being “mission tie game,” you can play for the tie and play for the secondary objectives. I won’t go into this too much, there is already an article up about it, but suffice to say, make sure your list can handle the secondary objectives and play for them without revealing that you are. In the end I usually play for method two, while banking on method three. This way I play very conservatively while acquiring the secondary objectives and make the push for the last turn contest. Let me know your thoughts. Basic article, but you know I like to look at the overlooked basics for the win. Do you have any stories about “mission tie game?” Post up your comments/criticism and make sure to like/follow/sub to our stuff. Thanks for reading. 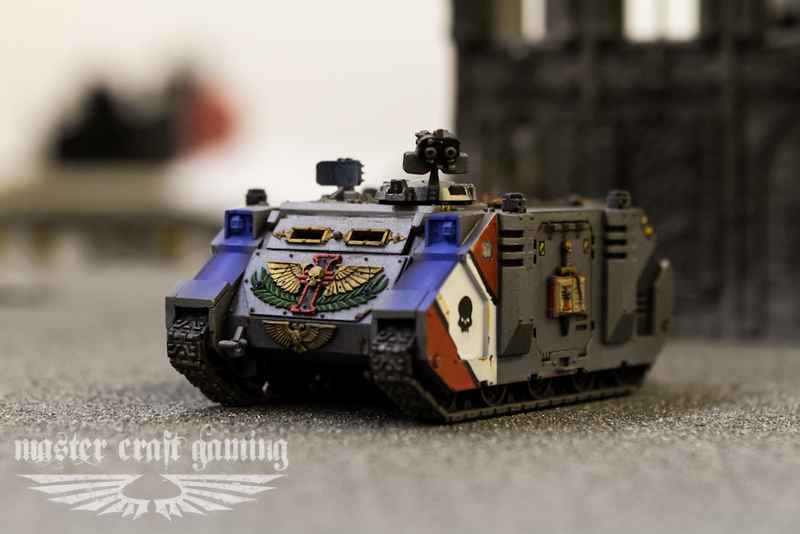 Hey guys, Son of Adam here from MasterCraft Gaming with a quick discussion about a potential list element for the Grey Knights. 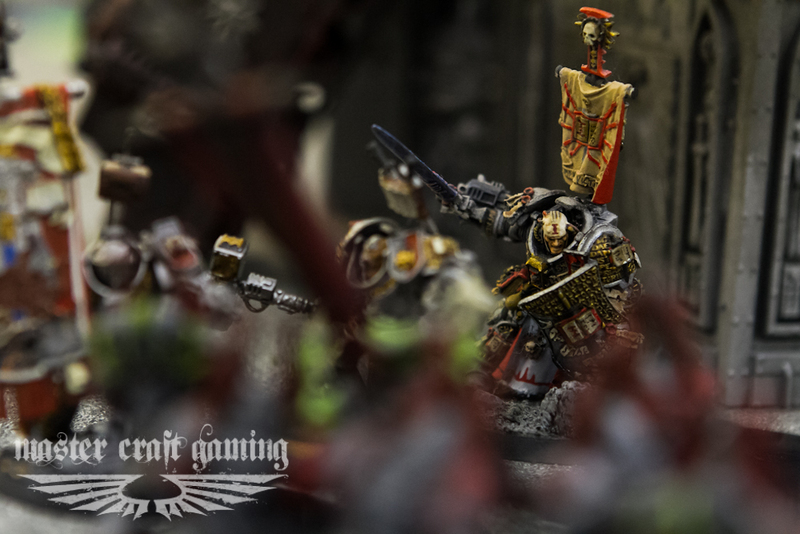 Some people have been requesting more Grey Knights tactica, and Vanguard thought that I should post up a discussion that we had about them, and so, here you go. Let’s take a quick step back and explain something simple, but useful (and often overlooked). Some effects in 40k multiply their effectiveness. They offer a buff at a flat cost that a varying number of models can take advantage of, depending on the list created. 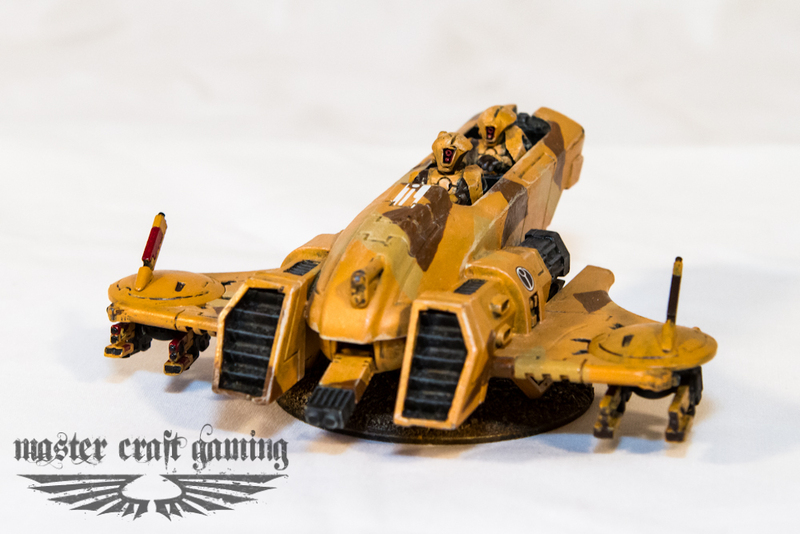 A squad purchasing psybolt amo is a good example, or Black Templar’s creeds. The buff that is given becomes less and less expensive (per model) as it is spread across more models that are taking advantage of it, and therefore increases its efficiency. 4 to 5 twin-linked psycannons is no small thing. 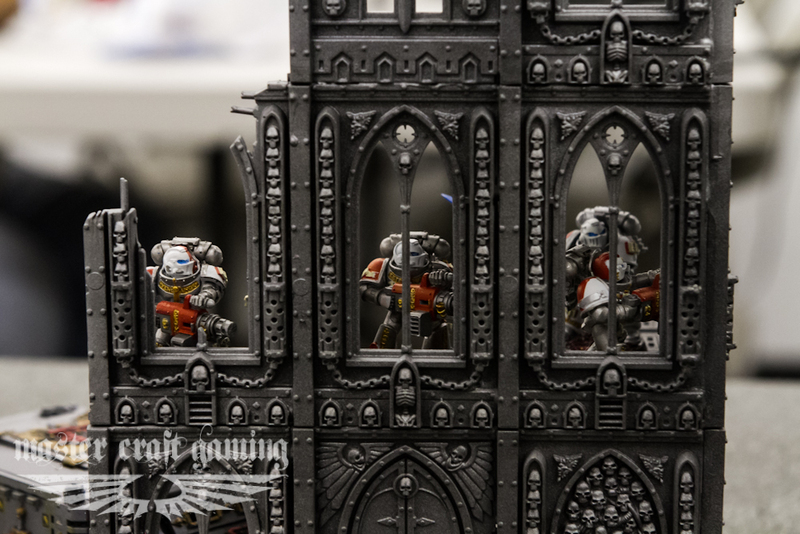 One of the prime examples to look at is a squad of 10 Paladins/purifiers with 4 psycannons. 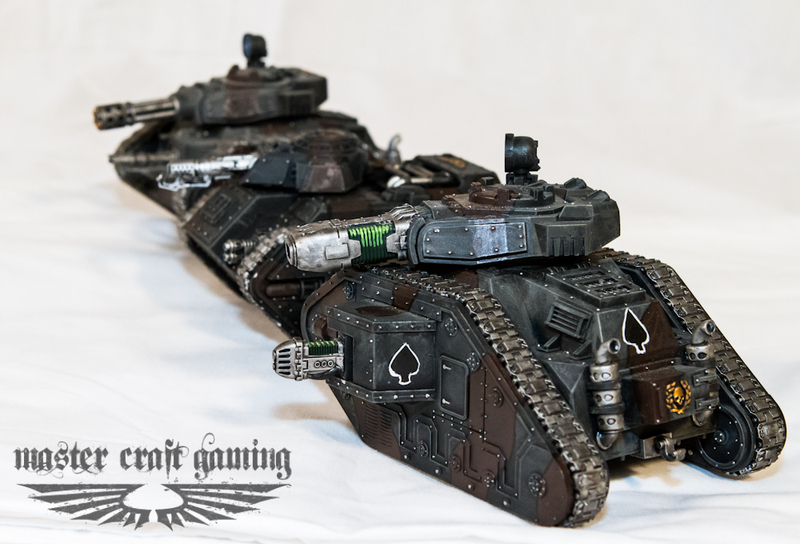 (Which can be combat squaded to leave the cannons together and make the other half combat related or serve some other function.) How much would you expect to pay in order to twin-link all of your psycannons and bring a chaplain with you whose power is in effect every turn, and not just on the turn you charged? Some may say just make the cannons mastercrafted and ignore the bonus to combat, after all they generally only miss about once per shooting phase anyway. Normally I would validate that opinion, however, with the advent of fliers and flying MCs, the ability for paladins as characters to make precision shots, and the bump to the amount of infantry we expect, I would have to make the argument again. What is the value of a squad being able to re-roll all missed to hits in both shooting and in combat? Quite high I expect. Before we get too far let’s look at who can get prescience and evaluate their usefulness in furthering our ability to achieve the golden rules. As per Grey Knight FAQ, only the inquisitors and librarians get rulebook powers. Here are two quick (and not exclusive) things to note about their differences. Librarians- can add to the multiplying effect with more powers/mastery levels. Inquisitors- (Malleus) can add an additional Psycannon making the squad have 5 twin-linked Psycannons (flier or not that’s painful). Always remember killing is not the goal, but a squad like this is something that a list can be built around. You can tactically achieve a 24″ threat range that people will not want to be in. When you have something like that, you can then build a list around it that can use that bubble to manipulate your opponent’s movement, and put them in places that are more advantageous to the rest of your list. That’s just a quick little thought for all of you MasterCraft fans who play Grey Knights (this is also useful for other armies). Find ways that you can build lists with something that has this kind of influence, and then comment with how that went. As always fellas, thanks for reading. Please follow/like/sub our stuff and leave some comments if there is anything else you want to see or see changed. Thanks. Simply moving to surround an immobilized transport can sometimes be more effective than charging it. Hey guys, Son of Adam here with a Quick Tip. These tips are all going to be under the Micro-Gameplay heading. Quick Tips are going to be short, very particular, ways to fight on the battlefield. Today’s Quick Tip is called Trapped in a Transport. If you are holding, or trying to deny the enemy from holding, an objective and a unit that has the strength to take it from you just got immobilized in a transport right on top of that objective, what should you do? The first and most obvious thing people want to do is charge it, but I want to suggest to you a different approach. For our example let’s take the mission I just recently play against Steve. Near the end of the game his Rhino full of Grey Hunters came running down on top of my home objective. Then in response I tried to come and take it back with my own, combat squad, of purifiers in a rhino (4 halberds, 1 hammer). I was able to take out his rhino but his troops took the objective from me. 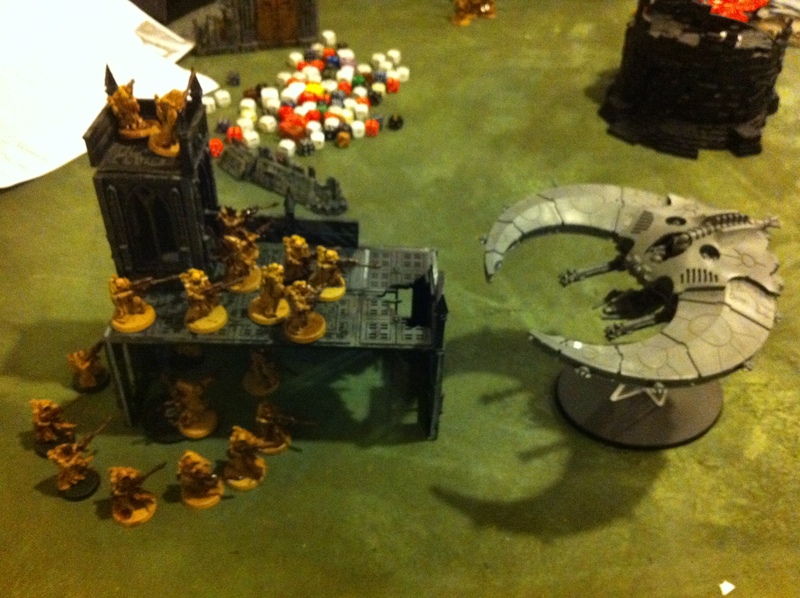 I believe it was at the top of turn four that his grey hunters then made a counter assault to stop my purifiers. He charged my rhino and destroyed it. This however ended up giving me the advantage. At the bottom of five I was then able to move the purifiers into position to contest the objective, and then get a full volley off before charging. Being outmatched, Steve could have employed this tactic to trap me in my transport. (To be fair, in our particular game my rhino was not immobilized or stunned, but we will continue to talk about it as if it were for the sake of the example). If his unit had simply moved into position to surround the rhino, my purifiers would have been stuck inside the transport and only been able to shoot out of it. Even if I killed most of the squad I would still have been trapped in my transport. This is far more relevant in 6th edition when we consider a change to the rules. Look in your rule book with me at page 123. It shows you that units that remain fully in a transport can neither score nor deny objectives. Furthermore, neither can any tanks (with the exception of “Big Guns Never Tire” and “The Scouring” missions where they can become scoring –but still cannot deny, take a look at that part closely). With this in mind we can see the tactic come to life. If the Grey Hunters were to have trapped the Purifiers in the rhino I would have only been able to shoot him, but not score/deny his objective. In this instance we can see the very heart of the Golden Rules of the Art of War(hammer). It would be more wise, and potentially game winning, to simply sit in front of the rhino’s doors and not attack anything than to charge the rhino and kill it. Remember this little tactic whenever you are facing an immobilized transport with some very nasty units inside. Trap them in their transport and win the game. Again let us know your feedback. Has this ever worked for you? Have you seen this done against you? Were their games you could have won if you had trapped that deadly unit in their transport instead of freeing them? Let us know. And while you are at it check out our other stuff and like/follow/subscribe to our sites. Thanks guys, we are always looking to improve.